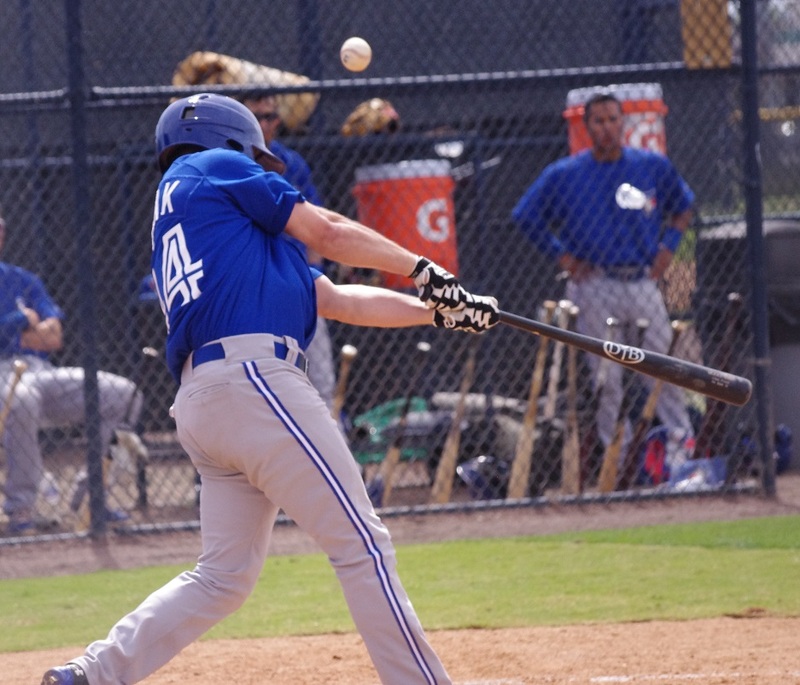 With another off day for the Blue Jays, the minor league teams took the spotlight as Daniel Norris and Roberto Osuna headlined the starting pitchers for the Jays’ affiliates. 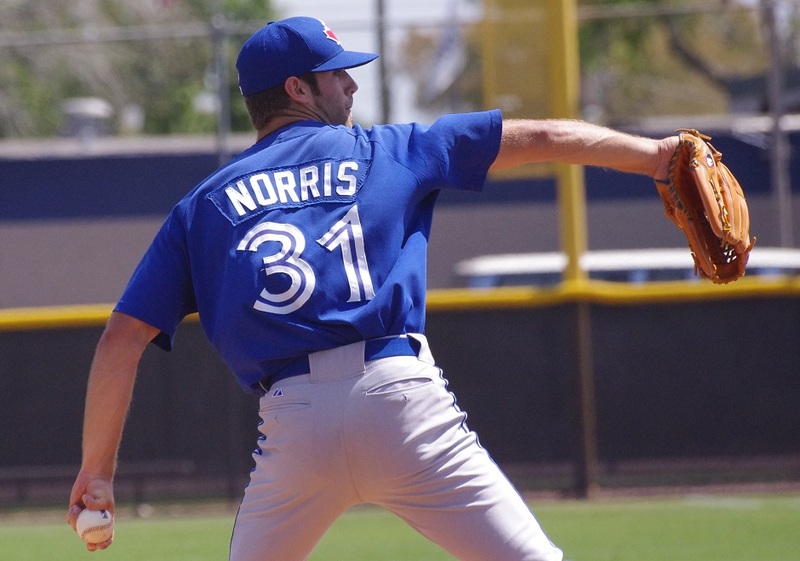 Daniel Norris earned his third win in as many starts with the Buffalo Bisons, this time going five innings and allowing only one hit (a solo home run) while walking three and striking out nine, giving him an incredible 32 strikeouts over 16 2/3 innings as a starter for the Bisons. Word is that he’s going to be headed to the bullpen for the remainder of the season (and maybe Toronto by season’s end?). Making his Triple-A debut was Dalton Pompey who went 1/4, rallying after striking out in his first two at bats of the night. Anthony Gose put on a baserunning show, going 2/4 with an RBI and two runs scored and stealing four bases (second base three times and third base once). Ryan Goins hit two doubles, going 2/4 and Darin Mastroianni also had two singles and a walk. The Fisher Cats could only muster four hits against Jaron Long who had a perfect game through 5 1/3 innings until Kevin Nolan broke it up with a base hit. Scott Copeland allowed all three runs on eight hits through six innings. How about that one? With one out in the bottom of the 19th inning, L.B. Dantzler doubled to drive in Emilio Guerrero to score the first run of the game and walk off with a win. In a game that saw only 10 hits combined (and only four by the Blue Jays), Dantzler had the big one and added two walks, going 1/2. Roberto Osuna started for Dunedin and had the best start of his comeback from Tommy John surgery, going four innings and allowing just three hits and striking out five. Efrain Nieves was just as good, allowing only one hit with three strikeouts in four innings before Arik Sikula and Chad Girodo each threw a scoreless inning to finish off the game. 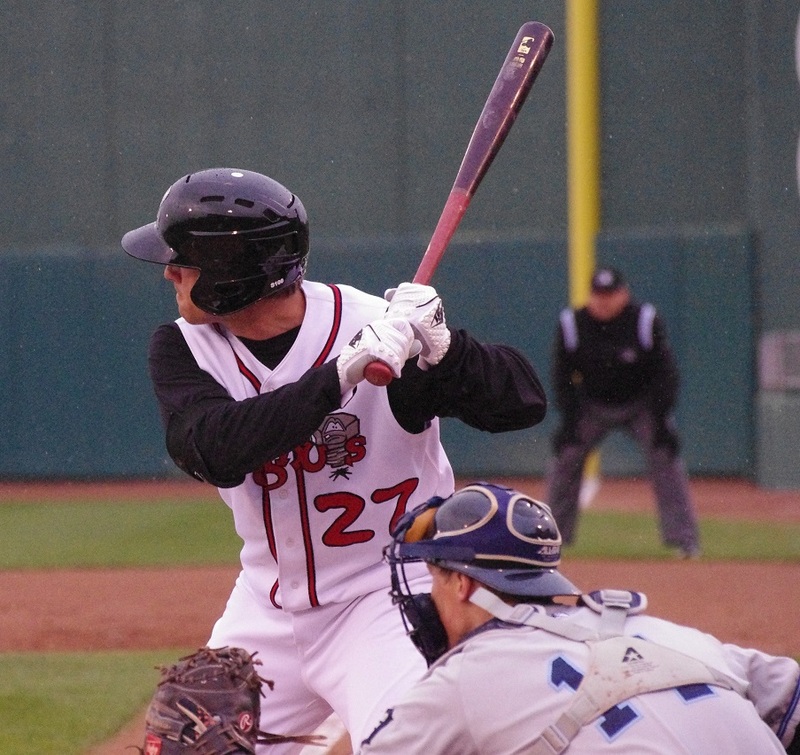 In a rain-shortened ball game (five innings), the Lansing Lugnuts fell to the South Bend Silver Hawks. Starter Jeremy Gabryszwski takes the loss, going five innings and allowing two runs on six hits. Chaz Frank had two hits to lead off innings but was erased on the basepaths both times. Matt Dean hit a big double and Rowdy Tellez made his Lansing debut, going 1/2 with a solid base hit, a walk and another hard-hit ground ball for an out. While the Lansing Lugnuts only got seven innings of baseball in, the Vancouver Canadians wanted to make up for their shortfall and needed 13 innings before ultimately losing to the Boise Hawks. Roemon Fields had a night full of twos with two hits, two walks, two RBI and two stolen bases. Tim Locastro and Franklin Barreto also had a pair of hits each and Barreto stole a base, his 22nd of the season. On the mound, Daniel Lietz was hammered, allowing five runs in 1 1/3 innings before Alberto Tirado had one of his best outings of the year, going 3 2/3 and allowing one hit and three walks with seven strikeouts. Michael Kraft, Andrew Case and Phil Kish each threw two innings of scoreless ball (with three strikeouts each) and Jose Fernandez was okay in the 12th but allowed the two runs in the top of the 13th to allow the Hawks to win. The Blue Jays took some revenge, scoring eight times and beating the Yankees after Wednesday’s loss. Deiferson Barreto hit his second home run of the year, driving in three and going 3/5 adding a single and a double. Juan Kelly also drove in two runs, going 2/4 with a double. Yeltsin Gudino added two singles and took a walk, scoring three times. 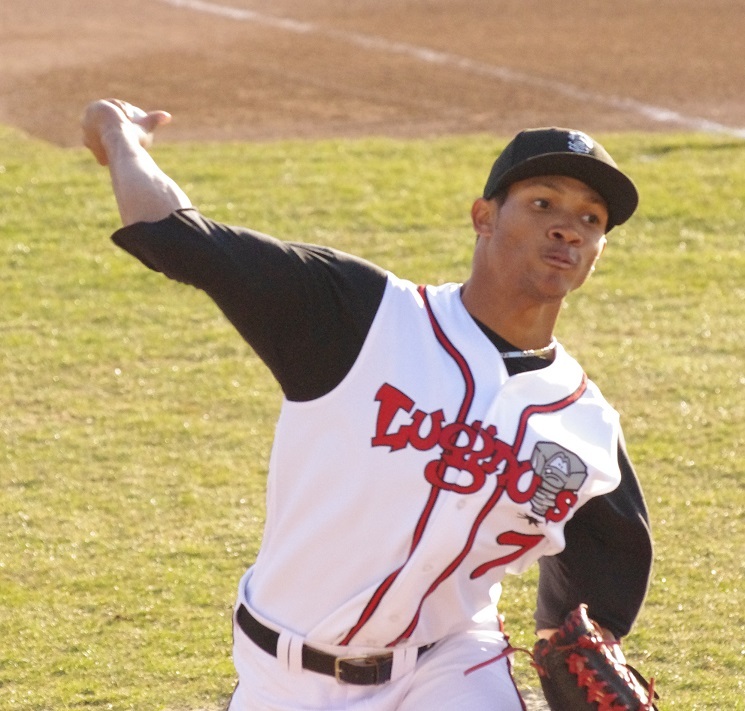 On the mound, 17-year-old Dominican Hansel Rodriguez went three innings, allowing a run on two hits and two walks with four strikeouts but the story of the game on the mound was the work of Angel Perdomo who lowered his ERA to 1.91 thanks to four scoreless innings, allowing just three hits and a walk with six strikeouts. The DSL Blue Jays walked one off against the Brewers, thanks to an RBI single by Bryan Lizardo. Enmanuel Moreta was 2/5 with a double and Francisco Rodriguez, Jesus Severino and Junior Vasquez each had a pair of singles. Starter Pedro Diaz allowed two runs in three innings but the best night was had by Wilmin Lara who went four scoreless innings for the Blue Jays. The Buffalo Bisons are trying to grab a wildcard playoff spot and are three games behind the Pawtucket Red Sox as they host the Scranton/Wilkes-Barre RailRiders at 7:05 PM on MiLB TV with Raul Valdes on the mound. Casey Lawrence is on the hill for the Fisher Cats as they host the always tough Portland Sea Dogs (81-50) at 7:05 PM on MiLB TV. Matt Boyd looks to continue his dominance of the Florida State League with a 5-2 record and 1.12 ERA on the road in Tampa at 7:00 PM. I’m still in Lansing and I’ll be able to catch one of the biggest surprises to come out of the Jays’ system this year, starter Starlyn Suriel (1-3, 2.70 ERA in Lansing). Suriel will face the South Bend Silver Hawks at 7:05 PM. The Vancouver Canadians have Zakery Wasilewski scheduled to pitch today against the Boise Hawks at home in an afternoon tilt at 4:05 PM. The Canadians are looking to take the playoff spot for the second-half North Division champions and are just 1/2 game off the leading Tri-City Dust Devils. Bluefield has a double header scheduled today and neither starter has been announced for the Blue Jays. The festivities start at 5:05 PM at Bowen Field in Bluefield.